Mr. Mauger is a co-founding Principal of Capital Cities, L.L.C., of Indianapolis, Indiana. He chairs the Capital Cities' Investment Committee and is responsible for the strategic planning and analysis of a client's current position. Working with other firm principals and professional staff, Mr. Mauger then coordinates the delivery of services to clients taking into account each client's unique circumstances. He is a member of the Investment Management Consultants Association. B.A., Chemistry, Denison University. Mr. Mauger has been with Capital Cities, L.L.C. since the firm's inception. Mr. Wiley is a co-founding Principal of Capital Cities, L.L.C., of Indianapolis, Indiana. Before joining Capital Cities in 1991, Mr. Wiley spent eight years in and out of Washington, DC, working for several prominent members of the United States Senate. He maintains many of these relationships today. In 1996, he served as National Finance Director of the Richard G. Lugar for President Campaign. Additionally, Mr. Wiley is a founding member and past Chairman of the Board of the Indiana Chapter of ALS, Inc. ("Lou Gehrig's Disease"). Mr. Wiley was appointed in 2012 by former Governor Mitch Daniels to serve as Commissioner to the White River State Park Commission. He was reappointed in 2016 by Governor Mike Pence to an additional four-year term where he serves as treasurer. Mr. Wiley is responsible for marketing Capital Cities' services and for coordinating the primary servicing and educational training to Capital Cities' clients. He is a member of Capital Cities' Investment Committee and of the Investment Management Consultants Association. B.A., Criminology, Indiana University. Mr. Wiley has been with Capital Cities, L.L.C. since the firm's inception. Ms. Black is the Chief Executive Officer and a Partner at Capital Cities, L.L.C. of Indianapolis, Indiana. Her primary responsibility is to oversee the formulation of customized investments strategies for the firm’s clients, matching each client’s unique objectives with forward-looking portfolio construction. Ms. Black takes pride in the collaborative and educational aspects of the consulting role, always striving to help clients navigate the opportunities and risks they face in their fiduciary roles. As a member of Capital Cities’ Investment Committee, Ms. Black contributes to all areas of the Capital Cities' client-centered experience, from strategic planning to investment manager due diligence to ongoing monitoring. Ms. Black’s investment career began at 40|86 Advisors, where she was a Senior Portfolio Analyst. Additionally, she honed her skills communicating the complexities of investing to a wide audience in her role as the Education and Marketing Communication Manager at the Indiana Public Retirement System (INPRS). Ms. Black is a gubernatorial appointee to the School Board for the Indiana School for the Blind and Visually Impaired and serves on the Indiana American Cancer Society Board. She was selected as a member of the 2015-2016 Richard Lugar Excellence in Public Service Leadership Series and is a member of the 2016 American Enterprise Institute (AEI) Leadership Network in Washington, D.C. Ms. Black is a twelve-year veteran of the firm. 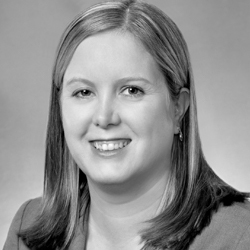 She holds the Chartered Alternative Investment Analyst (CAIA) designation and has completed Level I of the Chartered Financial Analyst (CFA) program. Ms. Black has a B.A. in Communications from Hanover College and a M.B.A. from Anderson University. Ms. Spudich is a Principal and the Chief Client Officer at Capital Cities, L.L.C. of Indianapolis, Indiana. Her primary responsibilities involve overseeing and supporting the firm's client relationships by providing proactive and responsive service. Ms. Spudich plans, develops and manages client projects by providing custom solutions for each client's unique initiatives. 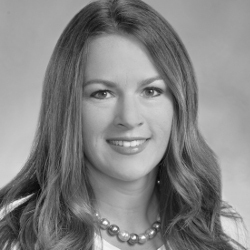 While Ms. Spudich serves all of the firm's clients, her expertise is in participant-directed plans including 529 and defined contribution plans. As a member of Capital Cities' Investment Committee, she actively conducts investment manager research, along with ongoing due diligence of clients' investment managers. Ms. Spudich authors insightful white papers for the firm's clients and prospects. She also assists with the development and execution of Capital Cities' marketing initiatives. Ms. Spudich is a member of the Executive Women in Finance of Central Indiana. Ms. Spudich is a fifteen-year veteran of the firm. B.S., Business, Indiana University; M.B.A., University of Indianapolis. Mr. Krinn was Managing Director for 11 years of MB Investments LLC (MBI) a Chicago based SFO serving three generations. 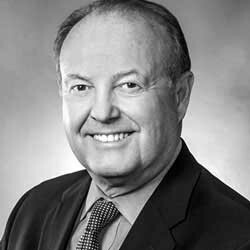 While at MB Investments, Mr. Krinn established a professional infrastructure with a multi-generational perspective. The traditional role of investing, tax and estate planning and risk management was expanded to include the multi-generational perspective which included the family's own Private Trust Company. Mr. Krinn managed a multi-billion dollar portfolio of a wide range of investments from private equity, hedge funds, separate accounts, and cash management. As Managing Director, he developed the philosophy, strategies and process for the managed portfolios. He also provided leadership, direction and oversight of risk management services (e.g. insurance, art inventory), tax, accounting, business relationships, operational cash flow management, document management, portfolio reporting, philanthropy systems, and served as an educational resource to the family. MBI (the office) was recognized by Family Office Exchange in its 2008 study of Best Practices. Mr. Krinn has a 30+ year financial services background which includes investment portfolio construction, risk management strategies, compliance and fiduciary planning for corporate retirement plans, endowments, foundations and wealthy families. He serves as an advisory resource to other family office executives and families through his firm Fairway Advisors LLC. Mr. Krinn has been with Capital Cities, L.L.C. since the firm's inception. Mr. Pelkey is the Senior Director at Capital Cities, L.L.C. of Indianapolis, Indiana. His primary responsibilities involve overseeing the operational aspects of Capital Cities' clients by working closely with clients, internal team members and outside vendors (custodians, record keepers, transition managers and investment managers). In this role, Mr. Pelkey provides the firm's clients with customized reporting based on their unique needs. He also assists our clients with any documents required to manage their accounts, such as transitions, new accounts and manager contracts. He is a member of Capital Cities' Investment Committee. 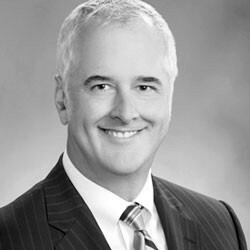 Prior to joining Capital Cities, Mr. Pelkey was a senior investment analyst in operations at 40|86 Advisors in Carmel. While there, he was the co-head of the reporting department which handled the design, production and testing of investment reporting needs. In addition, he was responsible for GIPS Compliance for all composites and was also involved in the firm's compliance to Sarbanes-Oxley. B.S., Business Administration, University of Southern Indiana. 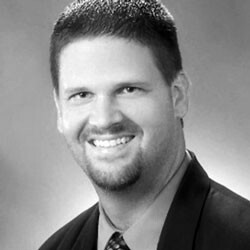 Mr. Waddell is a Senior Consultant at Capital Cities, L.L.C. 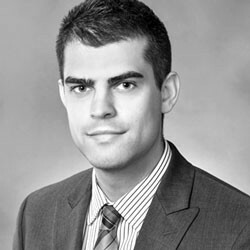 His primary responsibilities include supporting the investment process and servicing clients and prospects. He is also a member of the Capital Cities' Investment Committee. Prior to joining Capital Cities, Mr. Waddell was with Mercer Investment Consulting for two years serving as a Senior Technical Products Analyst. During his tenure, he worked closely with investment managers and custodial banks. 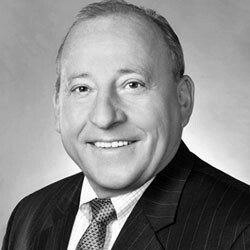 Prior to working with Mercer, Mr. Waddell was with DiMeo Schneider & Associates for three years serving as an Analyst. During his tenure, he reconciled and reported performance on various client portfolios. Mr. Waddell holds the Chartered Financial Analyst designation and is a member of the CFA Institute and CFA Society of Indianapolis. B.S. Finance/ Management Information Systems, Butler University. Mr. Harvey is a Consultant at Capital Cities, L.L.C. of Indianapolis, Indiana. His primary responsibilities include investment manager and capital market research. Mr. Harvey's investment career began at DePrince, Race, & Zollo Inc., where he was a Junior Analyst on the International, Emerging Markets and Global Value Equity Team. Mr. Harvey then went on to be an Investment Analyst and Portfolio Manager for a multi-billion-dollar single family office where he worked directly with the CIO to develop the global-macro-multi-asset allocation, and lead all investment manager searches, due diligence and monitoring. He has passed Level I of the Chartered Financial Analyst (CFA) program. B.A. Economics; M.B.A. with concentrations in Finance and Marketing, Rollins College. 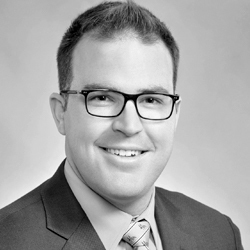 Mr. Adams is an Investment Analyst and New Business Coordinator at Capital Cities. His primary responsibilities include assisting in investment manager searches and the ongoing due diligence of investment managers. Mr. Adams also assists in the completion of the firm’s custom client projects and performance measurement and evaluation reports. In addition, he assists with new business initiatives for the firm, including responding to new business proposals. 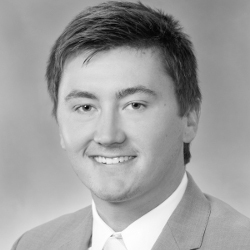 Mr. Adams served as an intern for Capital Cities prior to joining the firm as an Investment Analyst and New Business Coordinator. B.A., Economics, DePauw University.